Grab your own piece of brand immortality by engraving your name and logo on products that customers will use every day for years to come. Don’t cheat yourself at tax time! 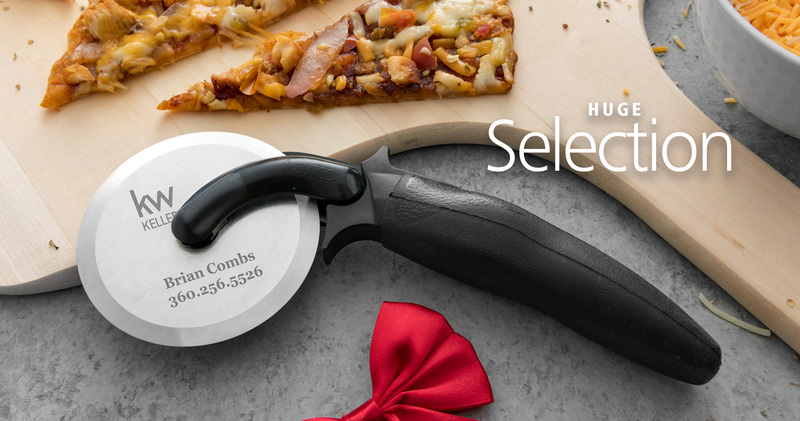 Cutco’s engraved closing gifts are a form of advertising, which are 100% tax deductible. Consult your tax professional. With bulk purchasing and a very simple re-ordering process, you won’t have to remember to stock your gifts. Easy, right? Give customers a gift that will truly last forever. All Cutco products are guaranteed forever. Consultants are available throughout the United States and Canada. Over 50,000 agents, loan officers and brokers are sold. 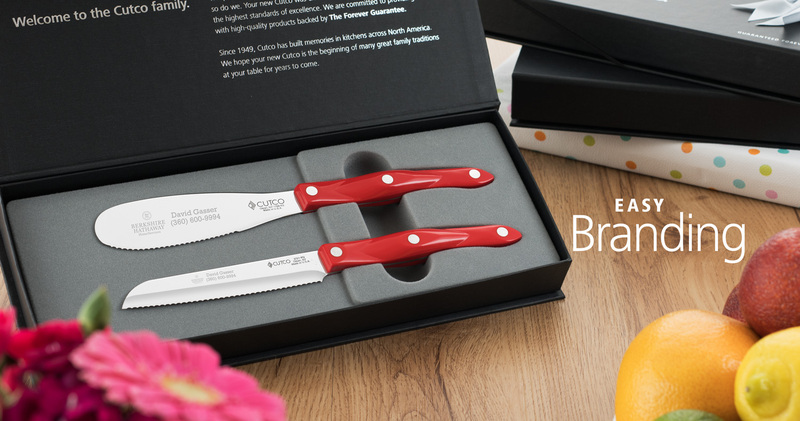 From single items to large sets, we offer a wide range of closing gifts – some in custom gift boxes – to showcase your appreciation and brand. 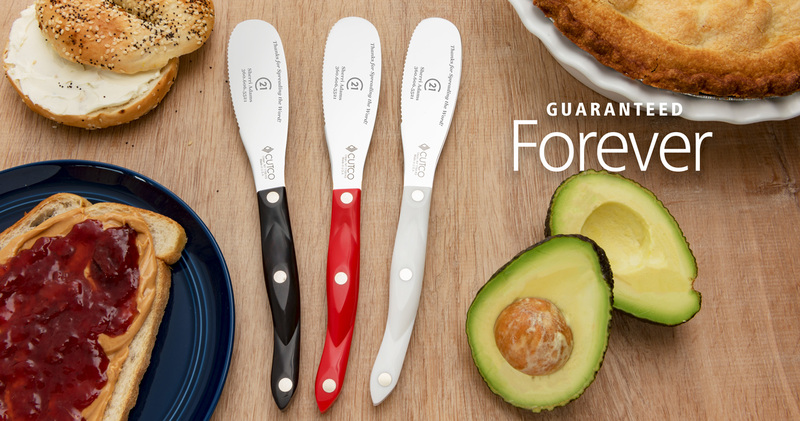 Preview a sample of your custom engraving on one of our most popular knives with plenty of room for your brand – the Spatula Spreader.